CALL US BEFORE YOU BOOK! We are used by almost all tour operators as an outlet to sell their unsold inventory at discounted prices. We can book your vacation directly with tour operators like Apple Vacations, Funjet Vacations and dozens more. We maintain special relations with major hotel chains. We are used by almost all tour operators as an outlet to sell their unsold inventory at cheap prices. As a Multi-Million seller of all inclusive resorts, escorted tours and cruises we are able to offer you unbeatable prices and unparalleled value. You will be assigned a personal dedicated Iberostar Travel Expert for any questions, changes, or concerns you may have. We are here to advise you before your trip and help you during your trip. We know how to efficiently and flawlessly arrange your vacation. Our Travel Consultants visited over 100 all inclusive resorts, numerous escorted tours and cruises. We have firsthand experience with our products. Backed by all industry leaders. We offer the lowest prices on all inclusive resorts, escorted tours and river cruises. Guaranteed! We make certain you will receive the best pricing on all your vacations. We'll Meet or Beat Any Competitor's Price! Our rates include all taxes and NO booking fees. The price you see is what you pay. IATA, IATAN, ASTA, CLIA, OSSN, PATH & NACTA, ARC Accredited Agency. All components of the vacation must be identical including hotel, hotel room category, meal plan, arrival date, length of stay and add-on features. Minimum 3-night hotel stay required. 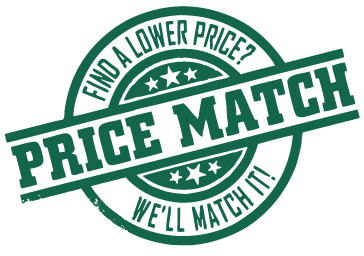 Limit of one price match per reservation. Travel protection is considered separate from price matches due to variances in plan benefits. Valid for new, same-day booking only. Valid against US-based competitor’s final price including promo codes when all vacation components match. Matches against membership clubs and other select vacation companies/reservations are subject to review and may not be matched. Some restrictions may apply.